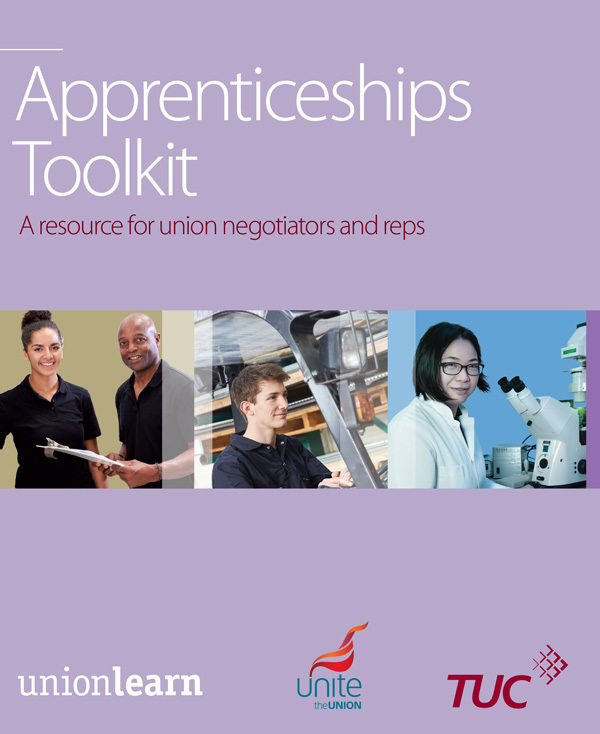 This digital toolkit is a resource for Unite reps and ULRs who are negotiating with employers on Apprenticeships or who are approaching an employer to discuss the possibility of taking on apprentices. The factsheets provide concise information on a range of topics related to Apprenticeships. Printed toolkits are available too and in these the factsheets can be taken out and given directly to an employer if information on a specific topic is required. Click here to Contact your Unite regional learning manager for more information. This title may also be made available, on request, in accessible electronic formats or in Braille, audiotape and large print, at no extra cost. The government has committed to substantially increase the number of Apprenticeships. Therefore, it is crucial that union reps and officers negotiate with employers to set up high-quality Apprenticeships. Trade unions support and represent apprentices in a number of ways, from recruitment and organising, to pay bargaining, learning and skills, equality and diversity and health and safety. Unions will have their own negotiating approaches on Apprenticeships. Some will include Apprenticeships in learning agreements, some will draw up specific Apprenticeship agreements and others will treat apprentices like any other category of worker. Apprenticeships are required to meet government minimum standards. These include: a minimum duration of 12 months, employed for 30 hours per week (this can be reduced to a minimum of 16 hours to accommodate part-time apprentices, for example, but only in exceptional circumstances); an English and maths requirement; and minimum requirements around on and off the job training. Apprentices have the same statutory rights as other employees. Unions will often negotiate higher quality Apprenticeships that far exceed these minimum standards. Contract of employment – Apprentices should have contracts of employment for at least the duration of the training period. Ideally an Apprenticeship should lead to a guaranteed job. Decent pay and conditions (see the Pay sheet) – One in seven apprentices are not receiving the minimum wage to which they are entitled1. These are unlikely to be apprentices in unionised workplaces as unions will negotiate fair wage rates for their apprentices. Wage rates should progress incrementally as apprentices begin to increase their skill levels. If percentage rates are negotiated, they should start as high as possible and progress by time served or competencies achieved, rather than by age. In industries such as construction with nationally agreed apprentice pay, ensure the local employer is complying with that agreement. High quality training – (See also the High Quality Training sheet). Union negotiators will want to ensure that Apprenticeship programmes in their workplace identify a clear programme of training, including sufficient time spent o the job, such as in college, in dedicated training centres at the workplace, or in private study. Access to a trade union – Apprentices have the right to join a trade union. Apprentices are often young people with little experience of the workplace or trade unions. Union reps should negotiate with employers to make sure that the union has the opportunity to speak to apprentices when they start work. Equality and diversity (see also the Equality sheet) – A good Apprenticeship programme should include strategies to ensure that Apprenticeships are accessible to the widest possible demographic. Health and safety (see also the Health & Safety sheet) – Apprentices must be able to learn new skills in a safe environment. Apprentices are especially vulnerable to health and safety risks as they are working in unfamiliar environments, often with unfamiliar equipment. Safeguarding employees from physical or mental harm is a major priority for unions and unions should ensure that the importance of health and safety is a priority in any Apprenticeship scheme. No job substitution – It is vital that unions negotiate to ensure that apprentices are not used for job substitution as a way to save on wage costs, and that they are recruited to fill genuine skills shortages and that employers plan for future skills gaps. Mentoring (see also the Mentoring sheet) – The role that mentoring plays in supporting apprentices successfully to complete their training, and to progress in their career, has been a crucial aspect of a quality Apprenticeship experience for centuries. Union engagement in Apprenticeships at the workplace level should involve some form of mentoring of apprentices by union representatives. All union reps have roles to play in ensuring that Apprenticeship schemes are high quality. 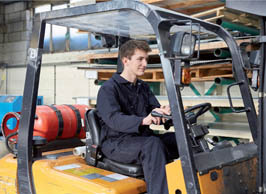 Stewards have a clear role to play in ensuring that apprentices are included within collective bargaining negotiations over terms and conditions. ULRs have statutory rights to promote learning or training with their colleagues and to work with their employers and local providers to ensure all the workforce can take up the opportunities. ULRs can help to ensure that the training aspect of the Apprenticeship is of sufficient quality. Health and safety representatives can work to ensure that the workplace is suitable for apprentices, in terms of equipment, environment and culture. There is strong evidence2 that Apprenticeships are a good prospect for investment in terms of returns to individuals, businesses and to government. The lifetime benefits for adult apprentices at Level 2 and 3 are very significant, standing at between £48,000 and £74,000 for Level 2 and between £77,000 and £117,000 for Level 3 Apprenticeships. Higher apprentices could earn £150,000 more on average over their lifetime compared to those with L3 vocational qualifications. Eighty-five percent of all age apprentices included in the Apprentice learner survey 2014 said their ability to do the job had improved, and 83 per cent of those apprentices said their career prospects had improved. Eighty-nine per cent of apprentices were happy with their Apprenticeship experience. Apprentices on higher level, good quality Apprenticeships – those with a Level 5 qualification – will earn £50,000 more in their lifetime than someone with an undergraduate degree from a university outside of the Russell Group, taking home close to £1.5m over their career3. Eighty-two percent of employers said that they were satisfied with their Apprenticeship programme. Seventy percent of employers included in the Apprentice employer survey 2014 reported that Apprenticeships improved the quality of their product or service. 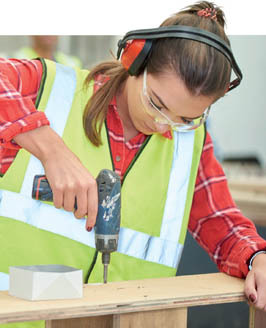 The National Audit Office Report, published in February 2012, demonstrates the high level of return to investment delivered by the Apprenticeship Programme, indicating that adult Apprenticeships deliver £18 of economic benefits for each pound of government investment. The government estimates are even higher, at £28 for each pound of government investment. The government has committed to delivering three million Apprenticeship starts over the course of this parliament. In the last parliamentary period there were 2.2m Apprenticeship starts, so there will be a substantial increase. The UK government will collect an Apprenticeship levy from all eligible employers (both private and public) in April 2017. Employers will pay the levy at a rate of 0.5 per cent of payroll from the point where their payroll exceeds £3m. There will be a £15,000 fixed annual allowance for employers to offset against their levy payment. It is anticipated that the levy will raise £12bn over the course of this parliament. 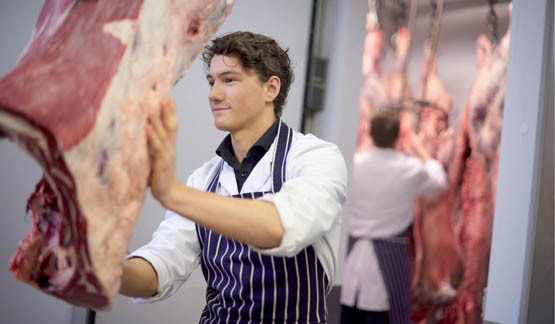 Employers will be able to recoup their levy contribution if they take on apprentices. 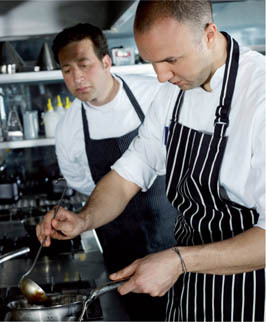 The levy can be used to fund apprentices aged 16 and over. Apprentices can be new entrants or existing employees. Employers will be able to use their funding (up to a cap which will depend upon the standard or framework that is being trained against) to cover the costs of an apprentice’s training, including English and maths, assessment and certification. It will not be possible to use levy funds to cover any costs other than those training and assessment costs listed above. Overheads, supervision costs and apprentices’ wages must not be funded by the levy. The levy will be collected by HMRC. Individual employers’ funding for Apprenticeship training in England will then be made available to them via a new Digital Apprenticeship Service (DAS) account. Employers will be able to use this to pay for training for apprentices. The service will also support employers to identify a training provider, choose an Apprenticeship training course and find a candidate. Funding caps will be set which limit the amount of levy funds an employer can spend on training for an individual apprentice. The cap will vary according to the level and type of Apprenticeship (for example, more expensive, higher quality training is likely to have a higher cap). Genuine industrial partnerships, including all stakeholders within an industry, are needed to design and deliver high quality Apprenticeships as is the case in other European countries. Employers can only spend their levy funds on Apprenticeship training delivered by an approved provider. Employers in England who pay the levy and are committed to Apprenticeship training will be able to get out more than they pay in to the levy through a top up to their digital accounts. The government will apply a 10 per cent top-up to monthly funds entering levy paying employers digital accounts, for Apprenticeship training in England, from April 2017. The introduction of the levy will undoubtedly lead to the creation of new Apprenticeships. This is a good opportunity for unions to become involved at the inception of Apprenticeship programmes and to negotiate high quality opportunities. The government has introduced an Apprenticeship target for public sector organisations with over 250 employees. The target will require public sector organisations to work towards employing 2.3 per cent of their workforce as apprentices. A new independent body, led by employers, called the Institute for Apprenticeships, will be established. Its proposed role is to monitor the quality of Apprenticeships. The institute’s role will be to advise on setting funding caps and approving Apprenticeship standards and assessment plans. It will be established in 2016 and will be fully operational by April 2017. The TUC has said that the Institute should involve key stakeholders, including trade unions to ensure apprentices are properly represented in the new structure. Genuine industrial partnerships, including all stakeholders within an industry, are needed to design and deliver high quality Apprenticeships as is the case in other European countries. Traineeships are a government skills initiative, which aim to help young people develop the skills they need to get on to an Apprenticeship. A traineeship is an education and training programme with work experience. Designed to help young people aged 16 to 24 who don’t yet have the appropriate skills or experience, traineeships provide work preparation training, English, maths and work experience. Trade union involvement is essential to ensure that young people are not exploited and that they are given a genuine chance to progress to an Apprenticeship. The TUC has developed a Traineeships Charter4 to help reps and officers who become involved with Traineeships. Apprentices should be paid a fair wage for doing their job, albeit one involving extensive periods of education and training. There are clear legal, moral and business reasons for employers to pay apprentices a decent wage. The last detailed survey5 of apprentice pay revealed that among Level 2 and Level 3 apprentices the mean basic pay was £6.79 an hour, and the median £6.31. Among higher apprentices on Level 4 and Level 5 provision, the mean pay was £11.63 an hour, and the median £9.68. Shockingly the survey also revealed that around one in seven (14 per cent) apprentices are not receiving the minimum wage they are entitled to, despite the fact that the rates for apprentices are already substantially lower than the main adult rate. As their skills develop, apprentices’ pay should increase accordingly. They may also get additional money for essential books, clothing or equipment. Apprentices should also receive the same benefits as other employees such as pension contributions, subsidised canteen and leisure facilities. At present in England, apprentices over the age of 19 are entitled to the national minimum wage after they have completed the first 12 months of their Apprenticeship. Those under the age of 19 or in the first twelve months of their training are currently entitled to an Apprenticeship national minimum wage which is £3.30 (March 2016). This will rise to £3.40 from October 2016. Apprentices should be paid for time spent training off the job as well as the time they spend in the workplace. The minimum wage entitlement for apprentices will also cover Wales, Northern Ireland and Scotland. Apprentices who are paid a fair wage are more likely to complete their Apprenticeship and stay on with their employer afterwards. Apprentice pay rates should reflect the job being done. If percentage rates are negotiated, they should start as high as possible and progress by time served or milestones reached, rather than by age. In industries such as construction with nationally agreed apprentice pay, ensure the local employer is complying with that agreement. Apprentices must be able to learn new skills in a safe environment. Union health and safety representatives can play an essential role in supporting apprentices and ensuring that they have a safe and healthy working environment during their Apprenticeships. The workplace can be a dangerous place, in which tragic and fatal accidents sometimes occur. Young people are particularly vulnerable in a working environment, especially when they are new to the workplace, and may have specific health and safety requirements. Health and safety risks to apprentices are increased where employers and providers look to misuse the Apprenticeship programme to save money, rather than offer a young person a supportive, high- quality training experience. Under the Health and Safety and Work Act 1974 young workers should receive at least the same protection as other workers. However, there are some legal provisions that apply specifically to workers aged under 18. Has the employer done a full risk assessment on all aspects of the apprentice’s job before they start, taking into account the apprentice’s lack of experience? Is health and safety covered in the induction training and is it appropriate to the kind of work that the apprentice will be doing? Are supervisors trained and competent to supervise a young person and are they given enough time to do so? Is health and safety an integral part of the training that the young person receives? Is the apprentice issued with appropriate protective clothing and equipment at no cost to them? Is the Apprenticeship training and any injuries relating to apprentices being monitored by the employer? Unionised workplaces are safer workplaces. Union health and safety representatives and negotiators are likely to be aware of the general potential hazards in their workplace and the measures that should be taken to protect their members’ health and safety. They are ideally suited to be both messengers and champions for the health and safety agenda within a workplace. They can help support an apprentice’s needs within a specific workplace and help ensure a safe and healthy working environment. Where they are present, union safety representatives work with stewards and union learning representatives to ensure that health and safety is core to any Apprenticeship scheme. Often this means making sure that the employer has done a full and sufficient risk assessment on all aspects of the proposed work of the apprentices before they start, and that these take into account the lack of experience and lack of awareness about possible risks. The best protection for apprentices is to become members of trade unions and for workplaces to have strong trade union organisation, including the involvement of union reps in assessing and preventing health and safety risks. an expectation of not having to work at night - however, there are some exceptions. Apprenticeships are full-time paid jobs which incorporate on and off the job training. A good quality Apprenticeship should enable the apprentice to develop a range of high quality transferable skills that are recognised in a nationally recognised qualification on completion of their contract. An Apprenticeship must include guided learning, assessment, training and monitored workplace practice, planned and agreed between the apprentice and their employer. All apprentices need to have a clear balance between time working, time learning while working, and time away from the work-station to study. An Apprenticeship must not be delivered only by distance learning. Online and other blended learning activity can be included in the delivery of an Apprenticeship, if it contributes to the Apprenticeship framework and is appropriate. Apprenticeship programmes interpret off the job training differently and the amount of time spent in college varies from one Apprenticeship framework to another and from one employer to another. Some frameworks typically involve one day’s release per week to attend college, others as little as half a day per fortnight. Some colleges send tutors to the workplace so much of the learning takes place at work. “Off workstation” should mean either college-based or access to a quiet area to work in the workplace which is away from the distractions and demands of the job. The provider should be consulted about the amount of time that the apprentice will be required to spend in college as well as the time recommended for study in the workplace. The employer should also give consideration to allowing time off for both the apprentice and their mentor to meet for mentoring sessions and informal discussions. 280 hours guided learning: guided learning is the time spent developing technical skills, knowledge of theoretical concepts and practical skills on the job whilst being guided. Apprentices must spend at least 280 hours in ‘guided learning’ in their first year. 100 hours or 30 per cent (whichever is greater) of all guided learning must be delivered off the job. Clear and verifiable evidence must be provided of all learning undertaken. A quality Apprenticeship programme should ensure that under- represented groups are given equal opportunities to start an Apprenticeship. Union representatives have extensive experience of helping hard-to-reach workers and making sure that all the workforce has the opportunity to access training. 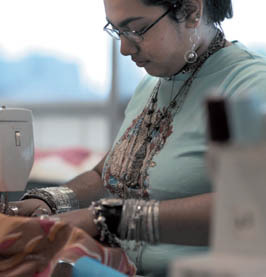 In 2014–2015 just 61.9 per cent (around three-fifths) of young black women successfully completed their training programmes, compared to more than two-thirds (66.4 per cent) of Asian and (69.5 per cent) white apprentices. The TUC is concerned this falling completion rate indicates that too many Apprenticeships are not decent quality and that workplace discrimination is preventing under-represented groups achieve their qualifications. Jeremy Crook, chair of the government’s Apprenticeships Advisory Group has highlighted that the proportion of ethnic minority people who apply for an Apprenticeship is far higher than the proportion who start one.8 In 2011/12, around 25 per cent of applications made via the central Apprenticeship Vacancies system were from ethnic minority people but only 10 per cent of the starts in that year were by ethnic minorities. The Apprenticeship Pay Survey of 2014 revealed that non-compliant pay (pay levels which breached the Apprenticeship national minimum wage) was more common among apprentices in hairdressing (42 per cent) and children’s care (26 per cent). Apprentices in these sectors are overwhelmingly women. The vast majority (94.3 per cent) of childcare Apprenticeships are undertaken by women, with 91.7 per cent of hairdressing Apprenticeships undertaken by women. When compared with the more highly paid sector of engineering and manufacturing technologies, which has an average hourly salary of double that in the hairdressing sector, women only make up 7.4 per cent of these Apprenticeships. Unions have a crucial role to play in redressing this balance and ensuring that women, disabled people, ethnic minorities and other disadvantaged groups are not discouraged from taking up Apprenticeship opportunities. There are a number of practical reforms that should be considered, such as improving careers guidance, amending recruitment practices and providing further childcare support for parents that are undertaking Apprenticeships. Consider what reasonable adjustments they could make and what support services they could make in order to make their Apprenticeship programmes accessible to disabled people. Encourage applications for Apprenticeships from under- represented groups – consider how marketing and recruitment strategies could reach a wider audience. Use more targeted recruitment by working with community groups and media outlets that work closely with under-represented groups. Tackle workplace discrimination and discriminatory recruitment practices that exclude women/BME candidates. Review recruitment and selection criteria to ensure they don’t exclude or discourage under-represented groups. Consider giving all “atypical” applicants who meet the minimum selection criteria an interview, and consider using positive action to address under-representation. Introduce flexible working for all young people. Ask current apprentices and employees from under-represented groups to act as role models or “champions”. Target particular groups by holding recruitment days at community events. Look for training providers who are actively involved in training atypical apprentices, and have incorporated their views in the design, development, review and delivery of Apprenticeships. Targeting information at parents of young people from disadvantaged groups will also help to address their under-representation. Try to ensure the composition of the workforce reflects the local community. Set up an equal opportunities policy. Check whether any workforce training and development plan has an equal opportunities clause. Check that training provided to the staff involved in running the Apprenticeship programme includes training on equal opportunities and its application to recruitment. Put in place steps to monitor the outcome of Apprenticeships to ensure that people from under-represented groups gain access to long-term employment opportunities. Mentoring is an effective way of helping people to progress in their careers and it is particularly useful for young apprentices as it helps them acclimatise to the workplace and gives them additional support. However, many organisations, employers and even providers are unclear as to what mentoring is, and how it can be used effectively to support apprentices to complete their Apprenticeship successfully and progress to further learning and success at work. The TUC has developed an interactive, online learning module that helps to explain what mentoring involves and provides further signposting to useful materials. Visit this site for further information www.tuceducation.org.uk/enotes. Traditionally, mentoring is the long-term passing on of support, guidance and advice. In the workplace it has tended to describe a relationship in which a more experienced colleague uses their greater knowledge and understanding to support the development of a more junior or inexperienced member of staff. Mentors rely upon having had similar experiences to gain an empathy with the mentee and an understanding of their issues. Mentoring leads to a number of benefits, not just to the mentee but to the mentor, employers, training providers and the union alike. It is used specifically and separately as a form of long-term tailored development for the individual which brings benefits to the mentee, mentor and organisation. Mentoring provides the mentee with an opportunity to think about career options and progress. Mentors can give advice, help a new employee orientate into the workplace, provide Information, Advice and Guidance relating to the learning and training aspects of the Apprenticeship and work with the apprentice and employer to ensure that problems are resolved quickly and do not threaten the Apprenticeship. Mentoring can help apprentices and new employees adopt soft employment skills such as time-keeping and prioritisation and helps manage the transition from school or college environment to the workplace. Mentoring is a good way of supporting and improving communication between the employer and apprentice, often giving apprentices ‘a voice’. Mentors play an important role in passing on skills and knowledge, with many employers in traditional Apprenticeship frameworks viewing the mentor as critical in supporting the ‘learning through doing’ process. This process is also seen as two-way, with experienced members of staff benefiting from fresh insight and up-to-date knowledge. Mentoring differs from the typical support offered from a line manager. For example, it allows young workers and apprentices to discuss issues that they may not feel comfortable speaking to management about with a trusted mentor who can offer them valuable support. A mentor should be someone from outside the apprentice’s reporting hierarchy at work. A ULR or workplace rep is often well placed to mentor apprentices. It focuses as much on trusted support, personal development and soft employment skills as it does on professional development. Personal issues can be discussed more productively. The form that mentoring takes may differ depending on the mentee involved – a student may need different support to an apprentice, for example with the focus shifting from pastoral care to professional development. Mentoring plays an important role in motivating apprentices to persevere with their training through to achievement of their qualification. Why is it different from other support? The purpose is to support and encourage people to manage their own learning in order that they may maximise their potential, develop their skills, improve their performance and become the person they want to be. It is also essential that issues between mentor and mentee are confidential. acting as a role model. Outcomes: Guidance on personal development and developing career path. Good literacy and numeracy skills are important for everyone, both those working and studying. Following a recent OECD International Survey of Adult Skills, which highlighted the below-average levels of English and maths among adults and the very poor English and maths skills of young people in England, the government has focused on ensuring all young people and adults achieve Level 2 skills (equivalent to GCSE A*-C or pass mark 4-9 from 2017) and funding has been made available for this provision. Embedding English and maths learning in Apprenticeships has been one of the tools the government has used to enable more people to achieve minimum standards as well as underlining the importance of literacy and numeracy at work. Depending on the Apprenticeship programme the required level can be achieved through GCSEs or Functional Skills. Apprenticeships include learning in English and maths up to Level 2. However, apprentices who already have GCSEs in English and maths at grades A*-C (or level 2 Functional Skills if aged 19+) do not have to continue studying these subjects. Apprentices on Level 2 Apprenticeships must achieve Level 1 in English and maths in order to complete their Apprenticeship. This can be done either via GCSEs or a Functional Skills assessment. Level 3 and 4 apprentices must achieve Level 2 in English and maths prior to taking their final Apprenticeship assessment. Apprentices on Apprenticeships under the Trailblazer standards must study towards Level 2 and take the exam before completing their Apprenticeship. The government has been keen to promote the use of GCSEs to meet the English and maths requirements in new Apprenticeships because they feel that GCSEs have good employer recognition. However, there is an increasing acknowledgement that Functional Skills should be considered as an alternative to GCSEs for people who find academic qualifications challenging. With their contextualised and practical nature the Functional Skills are often thought to be a more appropriate and motivating approach for workplace settings. A recent review from the Education and Training Foundation (ETF) showed that employers value practical skills in maths and English. They highlighted that employers who employed apprentices saw Functional Skills as a better match for their apprentices than GCSEs. Besides the practical nature of Functional Skills they can also be assessed any time of the year. The opportunities for taking the GCSE tests are more limited; the exams are taken in June and re-sits take place in November. If apprentices have completed their other learning it can be difficult to keep them interested and motivated with continuing English and maths learning until the chance to take the exam comes. And should they fail, there is a question of whether extra support to pass the re-sit is provided as well as any issues around time off to study. It is also questionable whether a learner who has failed GCSEs before can be motivated to try the same exam again and again. In England the government funds the cost of English and maths taken up to Level 2 for 16- to 24-year-olds as part of an approved Apprenticeship standard. Apprentices who are over 24 can get fully funded English and maths learning up to Level 2 if a need has been identified or if they have not previously achieved Level 2 in English and maths. The funding rule in this case is the same as for all adults in England. Employers do not need to pay for English and maths classes or courses in either case. The funding goes directly to the learning provider, such as a college. 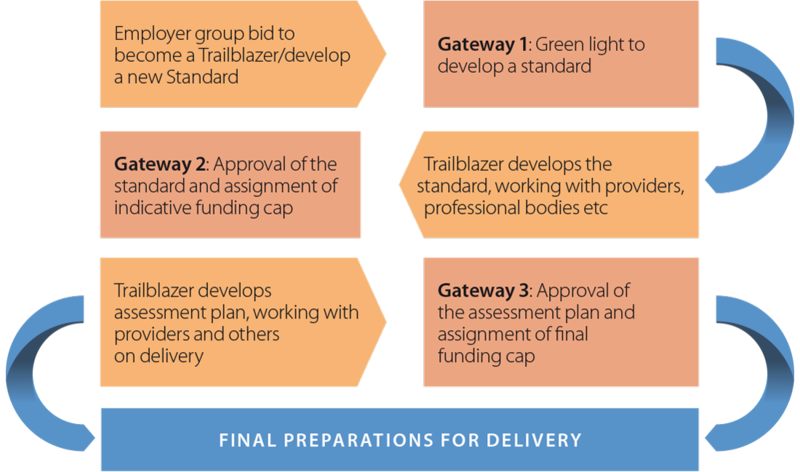 With Trailblazers the funding rules are the same except that if English and maths at Level 3 is a requirement for completion of the Apprenticeship standard, it is funded from the joint employer/government contribution. The funding arrangements will change when the Apprenticeship levy comes into effect from April 2017 but there are no suggestions that English and maths learning requirement will be removed. 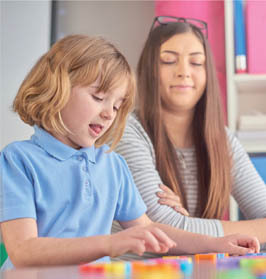 Union reps can be active in finding out how the English and maths learning opportunities have been arranged for apprentices, what the quality of provision is and whether there are any additional support needs. These can be discussed with the employer as well as any issues around time off to study. Also, where there are union learning centres on site or nearby they can be a helpful first point of contact if apprentices need help with their learning. Unionlearn has published a guide to resources that reps can use to support learners develop their English and maths skills www.unionlearn.org.uk/english-and-maths-learning-resources-and-tools. Most apprentices will be covered by an Apprenticeship framework, but some may be covered by a newly designed Standard, which has been developed by a group of employers under the new “Trailblazer” process. There are over 200 different types of Apprenticeships currently available in England, through existing Apprenticeship frameworks, available in thirteen broad sector subject areas. Apprentices can receive qualifications ranging from those equivalent to five GCSE passes to those equivalent to a degree. gives guidance on how to get onto an Apprenticeship programme, the time it will take and career paths available after an Apprenticeship. New, employer-designed Apprenticeship standards are being developed to replace the current Apprenticeship frameworks. These will eventually replace existing Apprenticeship frameworks. This process has been underway since October 2013 when the first eight Trailblazers were launched, and there are now over 140 Trailblazers that have been collectively delivered. Once the process is complete, there will be over 350 new Apprenticeship Standards developed by Trailblazer groups of employers. Trailblazers were established to give employers greater ownership of the Apprenticeship system and ensure that Apprenticeships meet the needs of businesses and the wider sector. It’s important for unions to be involved in the trailblazer process to ensure that the apprentice is represented in any discussions. Unions will be well placed to ensure that a standard is designed which will enable an apprentice to progress and develop high quality skills. allow apprentices to study to degree level (NVQ Level 4 and above or a foundation degree) but do not incorporate a university degree. Course fees and training costs are funded by the government (two thirds) and employer (one third) so that apprentices can earn a university degree without paying tuition fees. In any other respect, they are similar to other Apprenticeship programme: apprentices earn a salary and gain experience in a relevant workplace. As of September 2015, these Apprenticeships are available in chartered surveying,electronic systems engineering, aerospace engineering, aerospace software development, defence systems engineering, laboratory science, nuclear, power systems, public relations, digital, automotive engineering, banking relationship manager, and construction. Intermediate Apprenticeships lead to Level 2 qualifications, equivalent to 5 GCSE passes. Advanced Apprenticeships lead to Level 3 qualifications, equivalent to 2 A-Level passes. Higher and Degree Apprenticeships lead to Level 4 qualifications and above. Apprentices are the most likely group to take up professional registration. Often they are just starting out in their careers and have aspirations to achieve as much as they can. For an apprentice, professional registration provides recognition of the skills, knowledge and experience developed on an Apprenticeship. Registration shows a commitment to professional standards. It also helps with the development of further skills in the job role. It is a way of establishing the professional level of competence in the workplace. The competence is assessed by peers against internationally recognised standards of proven skills, knowledge and any formal qualifications relevant to the register. For an apprentice, professional registration provides recognition of the skills, knowledge and experience developed on an Apprenticeship. Registered status not only acts as a goal for apprentices to aim toward and makes it easier to move between jobs once the Apprenticeship is complete but also offers a progression route from technician at Level 3-4, Level 5/6 and onto Chartered status at Level 7. The Trailblazer frameworks (see Frameworks and Standards sheet) are apprentice standards and assessment plans that have been designed by a group of employers in a particular sector. These new apprentice standards focus on how an apprentice should demonstrate mastery of an occupation, and be aligned with professional registration requirements in sectors where these exist (for example, in engineering, science and accountancy). This also gives employers confidence that their Apprenticeship programmes are high quality as they have been approved by a professional body. For the employer, successful registration in the end of the programme is also an opportunity to acknowledge and reward apprentices for their achievement. For instance, a technician wanting to register joins the appropriate professional body and applies to register for EngTech, RSciTech or RITTech. The Engineering Council and the Science Council can help find the correct professional body and discuss the cost involved. BCS, The Chartered Institute of IT, is responsible for RITTech. A professional body membership and registration cost for the first year can range from £70 upwards. For union reps this is an issue to discuss with the employer so that the apprentices are supported both financially and with the actual application process. Unionlearn recommends that reps actively ensure that any Apprenticeship programme in engineering, science and ICT offered by their employer meets the standards for the industry and that opportunities for professional registration are included within the Apprenticeship. Reps are advised to request that their employers allow the relevant professional body to approve the Apprenticeship programme. Most professional bodies offer a free service to approve Apprenticeship programmes, and can help align them to the industry standards. Approved programmes help ensure the quality of the scheme and make it easier for an apprentice to gain registration once their Apprenticeship is complete. Additionally, some professional bodies offer free membership for apprentices and will also deliver free information sessions and workshops to help with becoming registered. Sessions like these can help reps engage apprentices and provide an opportunity to discuss how unions support apprentices. Contact the relevant professional body via the Science Council or the Engineering Council to find out more about joint working opportunities. A number of reps are also taking on the role of mentoring apprentices. It is important that the mentors know how the application process works with the professional body the employer deals with and also that they know where to find more information and support for the apprentices. negotiate with the employer for financial support for registration and professional body membership for apprentices. Who are technicians and what do they do? Technicians are the trained professionals who install, maintain and operate the equipment and technology each day that makes the UK’s engineering and science industries successful. They work in practically all industries from aerospace and the rail industry to higher and further education. 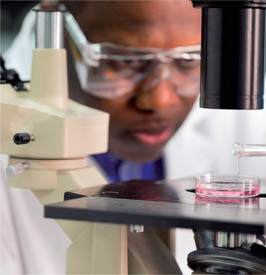 Typically, technicians are responsible for overseeing production and solving practical problems, but many also work in research and help their businesses to develop new products and processes. There are basic requirements of Apprenticeship programmes. employed for 30 hours a week: Apprentices must be employed for a minimum of 30 hours per week, including time training away from the workplace. If an apprentice’s personal circumstances or if the nature of employment in a given sector make it impossible to work these hours, then an absolute minimum of 16 hours a week must be worked. In these exceptional cases, the total duration of the Apprenticeship is extended accordingly. specification of Apprenticeship Standards for England (SASE): SASE sets out minimum academic requirements that all frameworks must meet. This is a technical document written principally to guide organisations designing frameworks. It stipulates minimum qualification levels required of successful apprentices under the vocational, technical and key skills elements of the Apprenticeship. It also specifies standards of attainment expected of successful apprentices, including “team working” and “creative thinking”. Further detailed information on the minimum contractual and operational standards required of Apprenticeships can be found in the SFA Funding rules for 2015 to 2016. The TUC has published an Apprenticeship Charter that sets out the key principles of a high-quality Apprenticeship programme. See the following Factsheet (12) for this or your union’s own version. As Britain’s largest trade union with members in every type of workplace, Unite and its predecessor unions have a long and proud tradition of involvement and participation in the development of high quality Apprenticeship programmes. With consensus across the political divide and many parts of industry on the importance of Apprenticeships, the development of new Apprenticeship Standards and frameworks, and introduction of funding systems such as the Apprenticeship Levy, together we must all ensure that longstanding involvement and participation continues now more than ever. As trade unionists we have a responsibility to promote and advocate on the important role industry-recognised Apprenticeships play for investing in people, skills development, lifelong career progression, and ensuring the long-term sustainability of the UK skills base, to employers, industry, the members we serve, and to government and political parties. Apprentices represent the next generation of Unite members and skilled workers, and their employment and training must be meaningful and of high quality. Unite’s extensive experience in representing apprentices across industry means we understand the difficulties apprentices may encounter, many of whom will be young and new to the world of work, and therefore vulnerable, and not least to exploitation. It is therefore essential for apprentices to have their trade union to turn to, supporting them through their work-based learning to successful outcomes. Unite have worked closely with the TUC and unionlearn to bring you this essential resource for use by Unite negotiators, officers, workplace and learning reps, all of whom play a key role in UK workplaces, including advocating for the provision of high-quality Apprenticeships, workforce education and training, and the creation of meaningful employment opportunities for young people. Apprentices should be looking forward to great job prospects for their working lives, and require a trade union that understands their needs. This Apprenticeships Toolkit is a resource that we hope assists you in promoting Apprenticeships, monitoring that they are of high quality, and protecting apprentices in the workplace throughout their training programme, through to successful Apprenticeship completions and skilled status. Unite supports the drive for increasing the number of quality Apprenticeships available in the UK. However, the union is concerned by the arbitrary target of three million Apprenticeships up until 2020, and argues that targets should be set based on objective and robust Labour Market Intelligence at sectoral and regional levels, workforce planning, with appropriate funding available to deliver bona de, quality apprenticeships to the nationally recognised occupational outcomes needed. 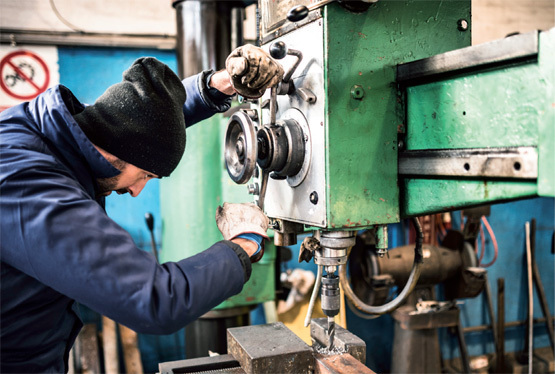 Unite is seriously concerned that industry will struggle to meet future demand for skilled workers unless decisive action is taken to reverse skills shortages and gaps. The union emphasises that Apprenticeships must be of high quality, leading to world class nationally and industry recognised occupations. They must not be low-quality, short duration cosmetic exercises that fail the learner and bring no long-term bene t to industry and the economy. Apprentices should be given sufficient training on health and safety, including relevant legislation, and the programme should be regularly reviewed from a health and safety perspective. that where they are utilised, only non-exploitative, meaningful pre-Apprenticeship Traineeships programmes, leading to real jobs and Apprenticeships, are in place at UK workplaces, as de ned in the TUC’s Charter for Traineeships. protection of the established CITB and ECITB training levies in the UK construction industry, for ongoing training, certification and standards development across the entire in- scope construction workforce. Apprenticeships should act as a rm foundation for the rest of the apprentice’s working life. An Apprenticeship should be a well-organised and supervised method, which industries use to train people with little or no prior knowledge of an occupation, craft, trade or professional role, to become the next generation of capable, qualified, experienced and competent operatives, craftspeople, technicians, engineers and professionals. As Britain’s largest trade union our reps have a significant role to play to ensure that is the case, advocating the very best high- quality Apprenticeships achievable for our apprentice members and prospective members, helping to secure decent standards of living, working, and the future well-being of the UK skills base. 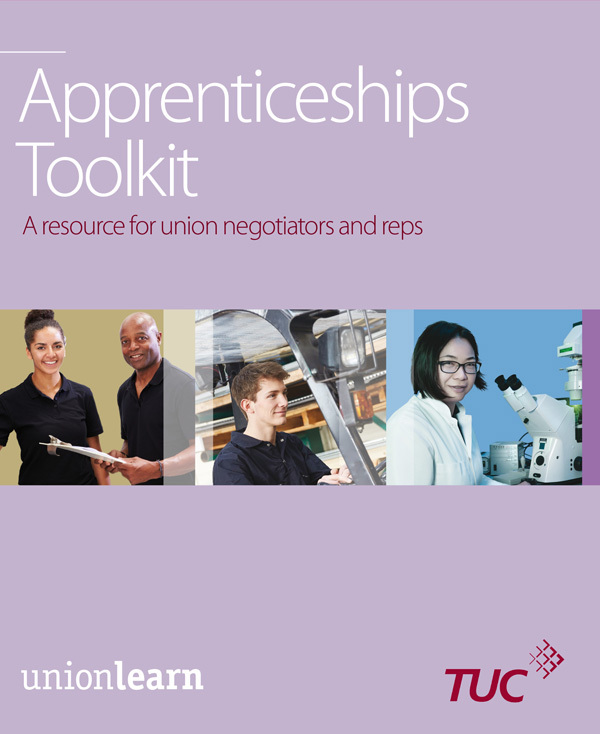 Unionlearn has developed an Apprenticeships Charter to assist union officers and representatives who are involved in negotiations around Apprenticeships. Unionlearn is committed to the vision of high quality Apprenticeships as a skills development programme for the current and future workforce as we build a new, fair and prosperous economy. There are a number of principles which must be met in order to ensure that this vision is realised in a way that is beneficial to the apprentices, the employing businesses and the society as a whole. Please note: This charter does not in any way impact or replace nationally or locally negotiated union agreements or frameworks. Apprentices should have parity of terms and conditions with all other employees. All quality Apprenticeships will have progression opportunities to genuine employment. Apprentice rates should reflect the job done; if an apprentice does a full job they should be paid for it, or quickly progress incrementally to that point. Apprenticeship programmes must identify a clear programme of training that is relevant to the job and recognisable in the sector. Apprentices must be given sufficient paid time off the job to study in colleges, or in dedicated training centres at the workplace. On the job training should be fundamental to the Apprenticeship. There should be a clear system for supervision, support and mentoring, by appropriately trained work colleagues. Trade unions should have a constructive role in the development and delivery of the Apprenticeship programme. Unions will negotiate around aspects of the Apprenticeship, support apprentices and work with the employer to ensure the quality and success of the programmes. The union rep should play an integral role in supporting, developing and advocating for apprentices. Union representatives, especially union learning reps, are ideally placed to act as mentors to apprentices. A good Apprenticeship programme will include strategies to ensure that Apprenticeships are accessible to the widest possible demographic and diverse spread of people. Particular attention will be given to enabling people from disadvantaged groups to take up any opportunities offered and support given to complete them successfully, thereby achieving the full benefit of Apprenticeship. Employers and unions should work together to ensure a safe environment. Particular attention should be given to the unique needs of apprentices and young workers. Apprentices should be given sufficient training on health and safety, including relevant legislation, and the programme should be regularly reviewed from a health and safety perspective. Apprentices should not be recruited for job substitution, but to fill genuine skills shortages and plan for future skills gaps. Apprentices should be employed by the employer, not as temporary or indirect labour. Apprentices should be a key part of the workforce, and shouldn’t be seen as a way of reducing cost.